Here it is, the iPhone 6. 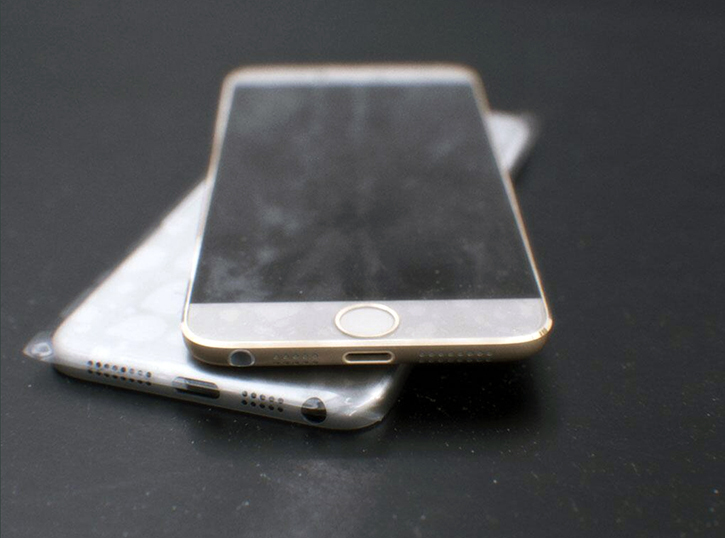 Or at least we're 95% sure that this is in fact Apple's highly anticipated, larger iPhone 6. The leaked low-resolution photos are of what appears to be the redesigned rear aluminum shell as well as the larger screen size of the soon to be released iPhone 6, which were anonymously posted on Twitter today. The parts do look mighty convincing and are also said to be in the hands of Sonny Dickson, which was the first person that has leaked legitimate photos of the iPhone 5c and Retina iPad mini months before the official Apple unveiling. It is rumored that Apple plans to use sapphire glass for the iPhone 6's display for its superior hardness and scratch-resistance compared to Gorilla Glass. Other than having virtually no side screen bezel and a asymmetrical top and bottom portions, it looks like the iPhone 6 will be considerably slimmer than the iPhone 5 and iPhone 5s while also adapting a near-identical design to the current iPod touch which features a flat aluminum back with pronounced beveled edges with a polished chamfer - also found on the iPad mini and iPad Air. It is believed that Apple will release two different screen sizes of the iPhone 6: one with a 4.7-inch screen and one with a much larger 5.7-inch screen. It's difficult to tell from these leaked photos what screen size this device has, but if we were to guess by comparing the Touch id home button to the width of the iPhone 5s, it looks more like a 4.7-inch screen. The only reason why anyone would pass these off as fakes or possibly prototypes that will never see the light of day is because the rear aluminum shell of these leaked iPhone 6 parts does not have a plastic or glass surface for the wireless antennas to breathe through signal reception like the rear shells of the iPod touch and previous iPhones. From what we already know, it would be impossible for these antenna to pass signal through such a solid metal design. Although it could be that Apple has found a way to engineer a clean and flawless aluminum unibody iPhone design (or possibly one that is made from a different type of material) without having to ruin the fluid use of a single piece of metal. More photos after the break!